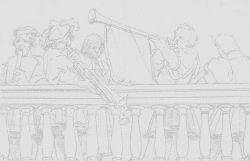 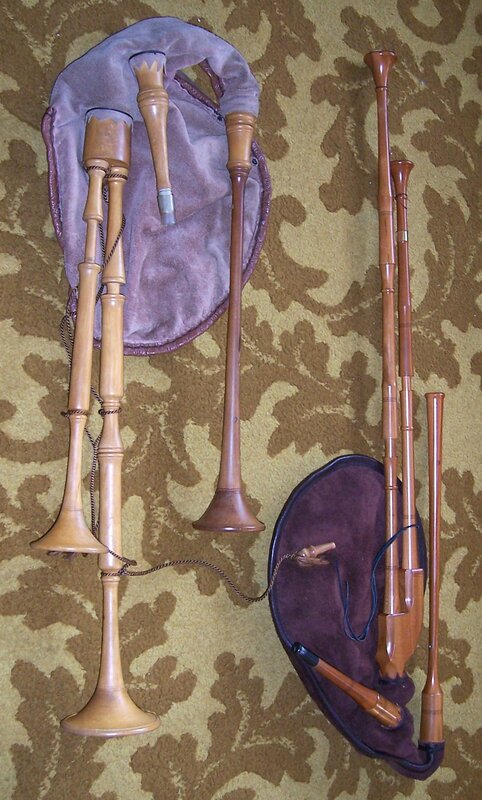 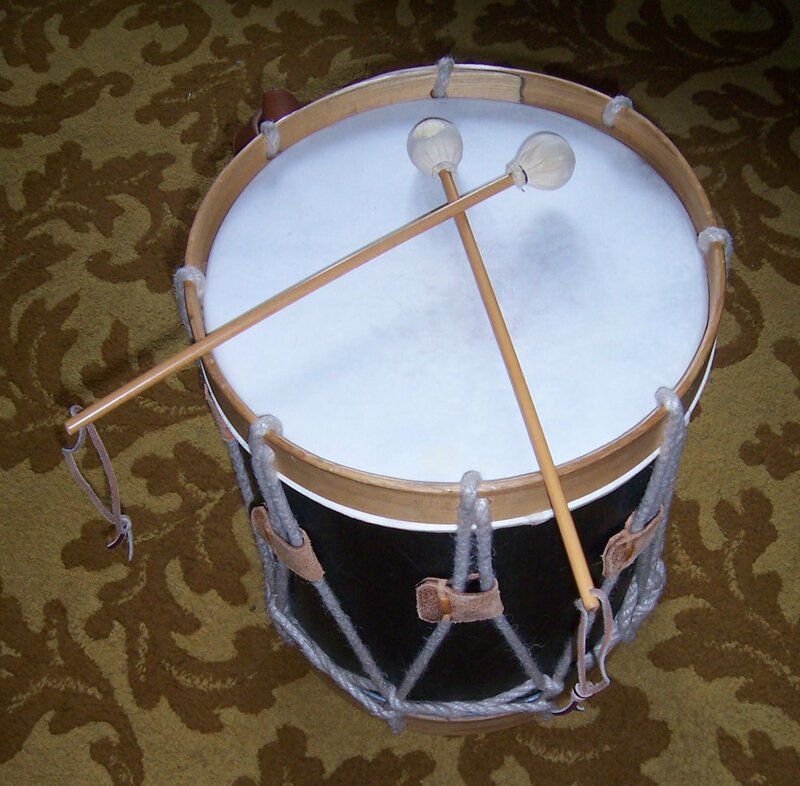 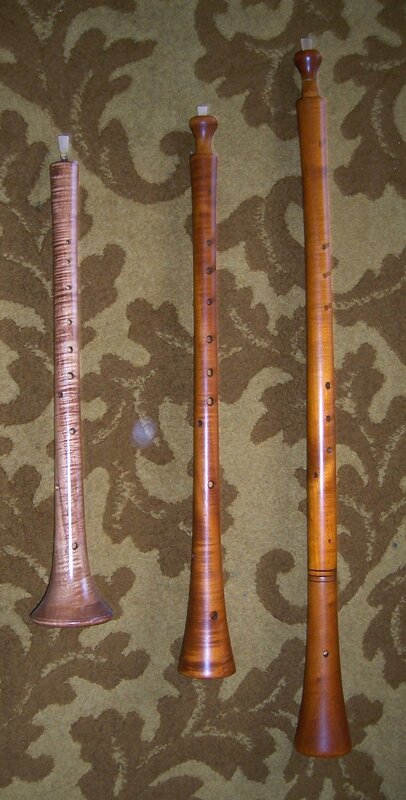 Below are illustrations of the types of renaissance instruments we play: loud wind instruments like the shawm, curtal, rauschfeife, cornett, sackbutt and some types of bagpipe quiet winds like the recorder, flute, crumhorn, rackett and other types of bagpipe, stringed instruments such as the guitar, cittern, hurdy-gurdy and harp, and assorted percussion instruments. 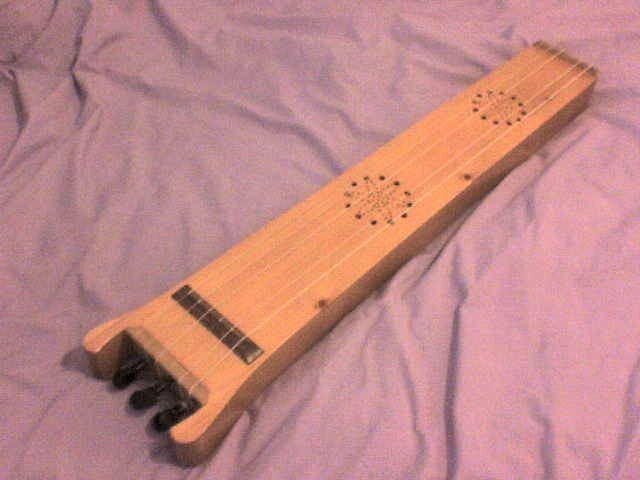 A rebec, a late medieval three-stringed fiddle with the body and neck out of a solid piece of wood. 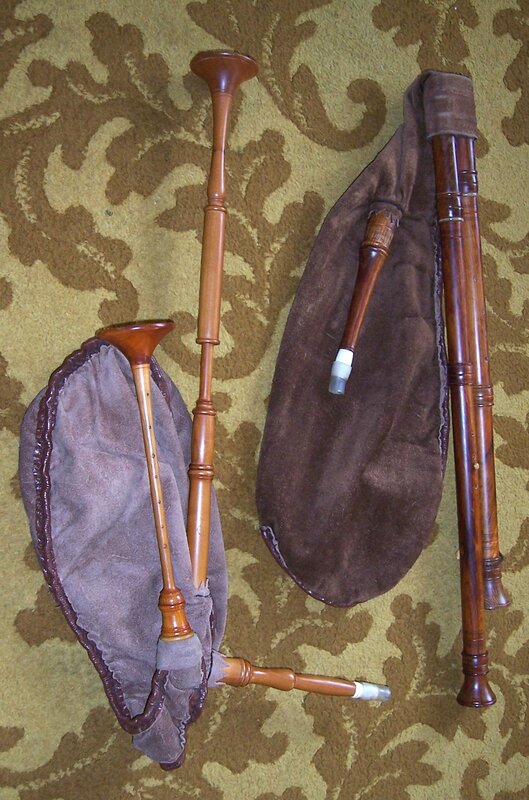 A late renaissance/early baroque violin and bow.